When it comes to printing, it is not about doing extraordinary work. It is about printing “correct”. It is the crucial factor that differentiates a bad copy from an excellent copy. How does one print a hundred percent accurate copy? The answer lies in Pre Press Services. In layman terms, Pre Press Services are all those processes that take place from the point of creation of a print layout till the last print is taken. Simply put, pre press is the very fulcrum of good, correct printing. Without an outstanding Pre Press Services one cannot make a “brilliant copy”, all one ends up is an average book, brochure, advertisement, etc. At Arinos, we deeply comprehend the value of Pre Press Services for all industries like marketing, advertising and publishing. It is recommended that the best possible option when it comes to pre press production is to outsource. better to give the humongous task to a firm whose core functionality is Pre Press Services. It saves not only vital time but unnecessary expenses as well. 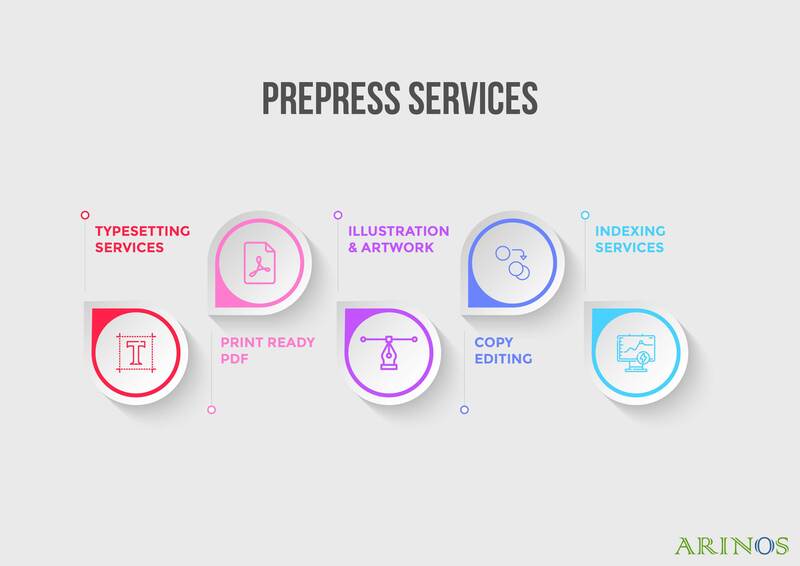 With certified and skilled professionals working with the help of latest technology, pre press services in any industry vertical becomes error-free. From legal to financial to pharmaceutical to even lifestyle, when it comes to prepress production, no sector is left behind. They all need it. We advise looking for a one-stop-shop like Arinos for your pre press services. A place who can take any copy from the initial concept point till it reaches the printing press.